There’s nothing like watching a child open up a new toy. The smile, the unbridled ferocity of his imagination or her curiosity. It’s all very inspiring. Apple customers seem to relive this joy annually, but this year there is a new colourful alternative to “last year’s model.” The iPhone 5c replaces the iPhone 5 on store shelves, maintaining much of what made Apple’s former flagship great while lowering costs, both for Apple and consumers. 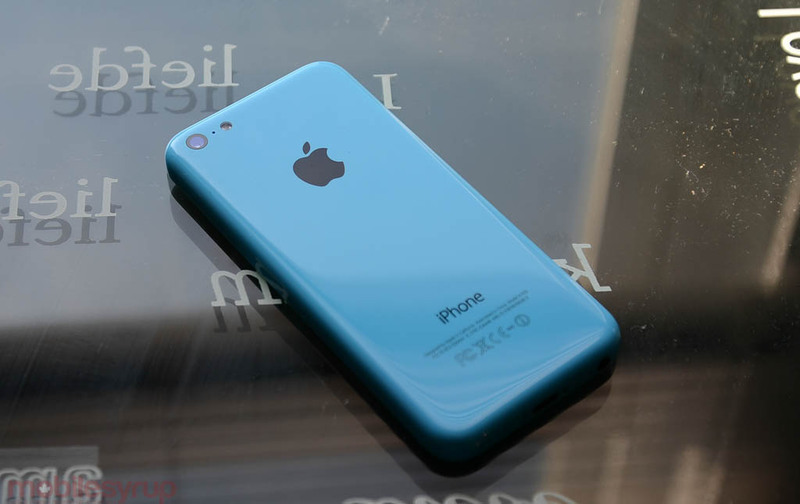 That is, though it houses 99% of the same components as the iPhone 5, the iPhone 5c is a brand new product by marketing standards, and its steel-lined plastic body and five neon hues reinforces its appeal to a demographic that may have shied away from the product previously. 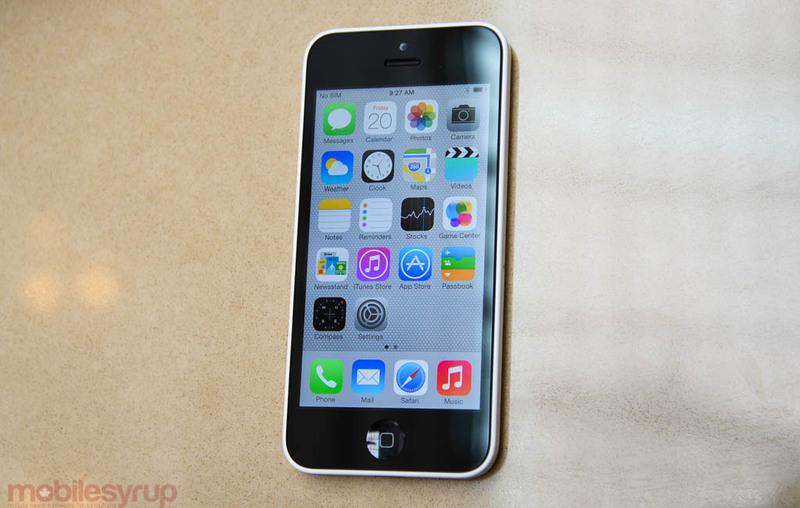 Starting at $129 on contract and $599 outright for the 16GB version, the iPhone 5c is not cheap. But its lower barrier to entry is sure to entice many a shopper, so let’s take a look at its highs and lows. This is very much an iPhone 5 in a new suit. Being available in five colours — white, pink, blue, green and yellow — is the first clue that the iPhone 5c is the new iPod touch. That it is “unapologetically plastic” doesn’t tell the whole story, though, because like Motorola and Nokia, Apple has managed to turn the material into something versatile and desirable. 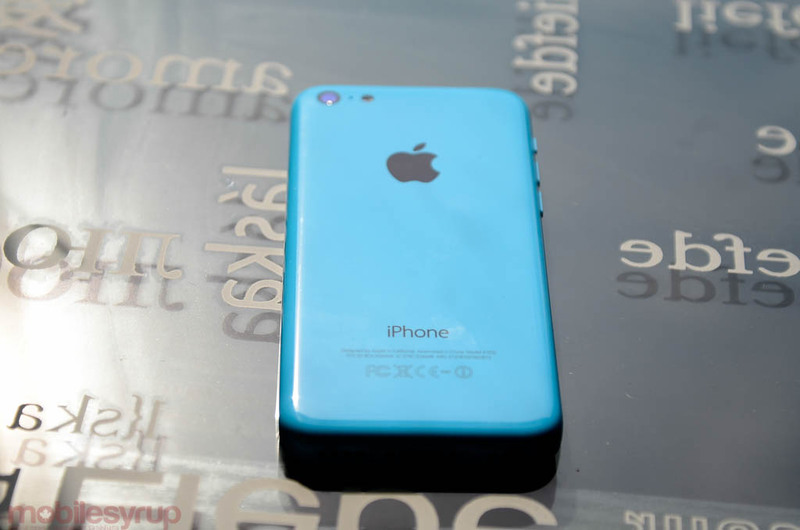 While glossy, the iPhone 5c feels compact and comfortable in the hand, and does not slip or attract fingerprints. It’s also clear that Apple spent a lot of time ensuring the chassis was strong enough to withstand a drop or three, and unlike the aluminum of the iPhone 5 or 5s, the cheaper iPhone doesn’t feel like it needs a case. The standard stuff is all there: a 4-inch 1136×640 pixel IPS display, a 1.3Ghz dual-core A6 chip, 1GB of RAM, 16-32GB internal storage, an 8MP iSight camera and iOS 7 pre-loaded. 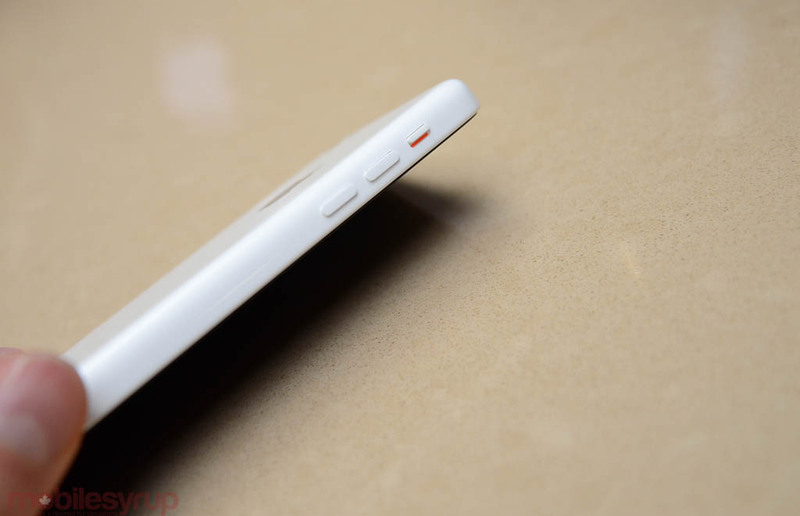 Three characteristics other than materials differentiate the device from the iPhone 5: a slightly bigger battery; more LTE bands; and an improved front-facing camera. The first is significant, as we noticed the battery lasted between an hour or two longer than our iPhone 5 running on the same network with the same software. The middle aspect doesn’t necessarily affect Canada, since we only use AWS and the new device doesn’t support Rogers’ 2600Mhz LTE Max frequency; and the last is good for FaceTime and selfies but is otherwise unremarkable. What is remarkable is how modern the phone feels despite running last year’s hardware. This is the equivalent of Samsung releasing the Galaxy S4 mini without a lower-resolution screen and calling it a brand new product, but many users are not going to care; it does not feel slow, nor is the plastic build a hindrance to enjoyment. Specifically, the 5c features almost every iOS 7-related improvement but for the new hardware-limited camera features of the 5s, namely Slo-Mo and Burst Mode, but at this point in its life cycle developers haven’t been able to take advantage of the 5s’ A7/M7 SoC combo to a full enough extent to call it a must-have upgrade. The colours are vibrant without feeling toy-like, though I do wish at least one model was available in matte (and offered in midnight black, since plastic does not have the same hue limitations of aluminum). The process uses injection moulding, fashioned from a single piece of material. As a result, there is no flex or bend to the plastic, and the steel frame inside ensures good reception and sustained resilience. Though Apple offers a series of colour-bending cases (which are, to be honest, quite unsightly) I’d feel inclined to stick with a naked phone. 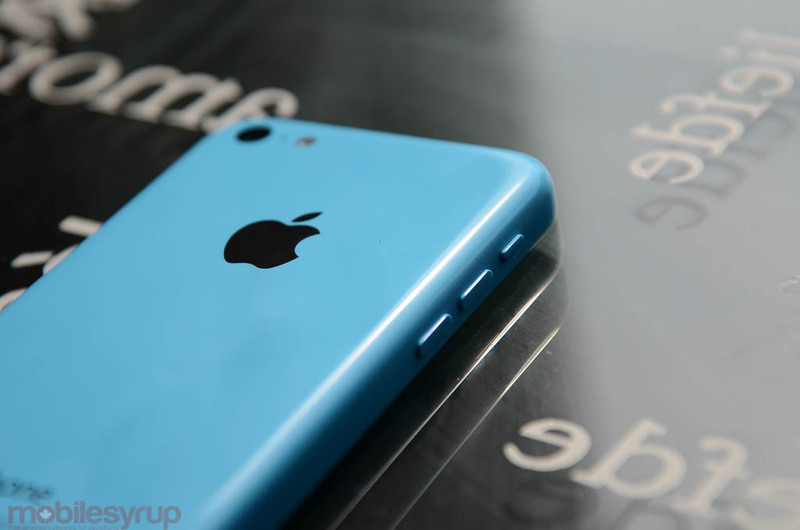 The iPhone 5c is no “upgrade” to the iPhone 5, and isn’t trying to be. That iOS 7 feels ready-made for the various colour palettes is no coincidence, since Apple has repeatedly stated that this is the truest synchronization of hardware and software on a mobile device to date. The interface makes far better use of the 4-inch screen than previous versions, pushing photos to the bezel and sharpening fonts so that they are more readable at lower sizes. This is Apple’s response to haters of the small screen size: Our hardware is fine the way it is; we’re going to address your concerns via software. They do this, too, in the camera app, which feels much faster and immediate than iOS 6 even on the same hardware. The camera on the iPhone 5c is still one of the industry’s finest, as the A6 contains some of the best image signal processing of any smartphone. Though the 5s boasts a larger sensor, a faster aperture and more consistent focusing, the 5c is not far behind. I missed its Slo-Mo mode, but for single photos I still find the iPhone 5c delivers better results, most of the time, than the HTC One, Galaxy S4 and other top-line Android devices. Without OIS, the LG G2 bests it in certain scenarios, especially areas with low light, but I still believe Apple provides the best overall camera experience in the industry. It doesn’t have the pixel count of the Lumia 1020, nor the pixel size of the HTC One, but its compromises are few and results excellent. 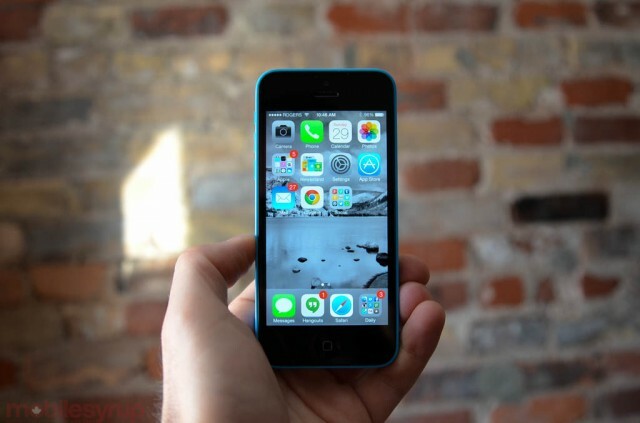 Read our iOS 7 review for a more in-depth look at the iPhone 5c and 5s software. Let’s talk price for a second. 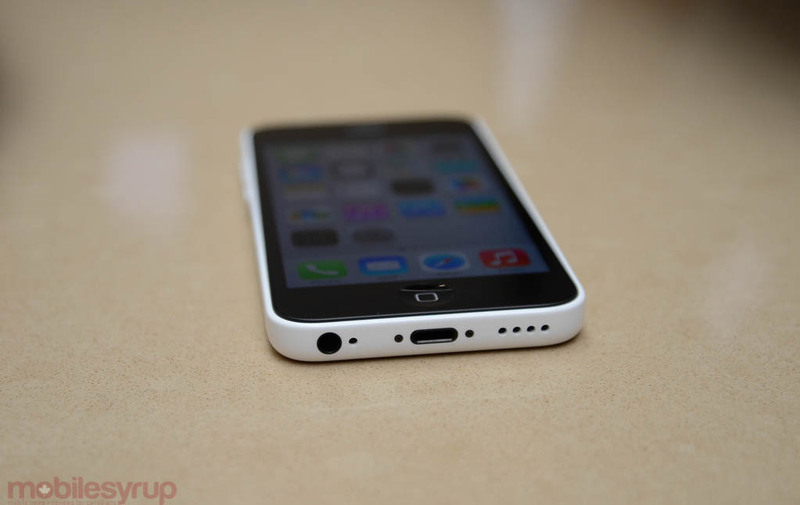 The iPhone 5c is not a cheap iPhone, nor is it an inexpensive smartphone in general. You’re still going to pay over $200 for the 32GB model — in my opinion the only one worth considering — which is currently $30 more than the LG G2, and $100 more than the HTC One. Let’s also talk about whether the iPhone 5c is a better phone than a discounted iPhone 5 at the same price. The plastic build is good, no doubt, but it’s not an improvement over the lush aluminum and precision chamfered edges of its predecessor. It doesn’t feel like a more premium device, and yet it costs the same, or comparatively more, than last year’s model. A slightly larger battery and an improved front-facing camera don’t necessarily create a brand new product, as much as Apple would like us to think so, but you have to look at it in the context of its audience. Apple is going after, for better or worse, the audience that either wouldn’t have been interested in a flagship iPhone, or thought the product needed a bit more flair. At the same time, Apple has also maintained the same 4-inch screen size, the only lingering issue I have with the product. Its 326ppi pixel density is more than enough, and you’d be hard-pressed to find anyone to complain about its fidelity, but since the release of the 4.7-inch Moto X, I dream of the day Apple releases a larger iPhone. Finally, my only other gripe with the phone is battery life. It may be early days with iOS 7, but the combination of a smaller battery cell and an operating system doing more in the background means that the iPhone 5c often lasts less than a full day. This would have been fine until recently, but the brute force enlargement of high-end Android phones, namely the LG G2 and Samsung Galaxy Note 3, and the inherent efficiency of the Qualcomm Snapdragon 800 SoC, have widened the delta. The iPhone 5c is a very efficient user of the LTE baseband, but it looks like Android phones have superseded it in higher-power tasks like watching movies or playing games. Though it lacks the fingerprint sensor, 64-bit processor, faster RAM, larger and faster camera, dual-tone flash and aluminum build of the iPhone 5s, I found myself consistently enamoured with the 5c’s flashy plastic chassis and feature set. I may opt for a 5s myself, but I’d more than readily suggest the cheaper sibling to friends and family who don’t need the latest and greatest. The performance delta will expand soon enough, and like all iPhones the iPhone 5c will begin creaking on older versions, likely with iOS 9. But Apple’s first custom silicon, the A6, is still a fearsome combination of low-clock CPU and multi-core GPU, bested only recently by the Tegra 4 and Snapdragon 800. If you’re a parent buying a teen his or her first smartphone, I wouldn’t be surprised to see the iPhone 5c at the top of the begging list, supplanting the iPod touch and right next to the Galaxy S4 mini. Apple’s support ecosystem, with its Geniuses and AppleCare+, is still the best in the industry, and coupled with a stronger chassis, the iPhone 5c a compelling smartphone.